Handpainted on the inside with lots of detail! 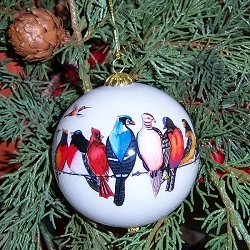 Colorful, nature inspired ornaments for the holidays! 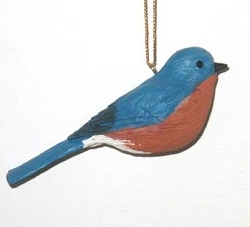 Everyone loves the Mad Bluebird! Who wouldn't want to wake up to this face? 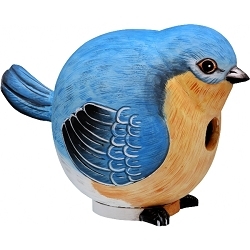 This famous photo of a bluebird looking a bit...grumpy...will certainly brighten your morning. 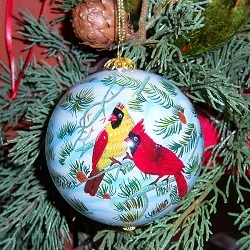 You can enjoy this gorgeous work of art as a beautiful tree ornament. Artist Michael L Smith. 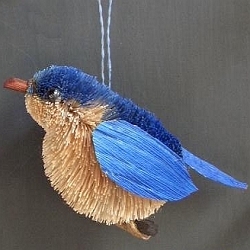 One of a kind blown glass tree ornaments for Mad Bluebird lovers. Designed in the USA. Handcrafted overseas under the artists' supervision. Beautifully handpainted on the inside with lots of detail. 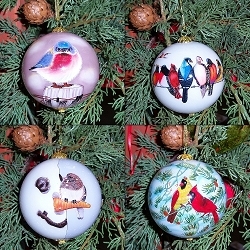 These ornaments look great as a decoration on any holiday tree, garland or wreath. 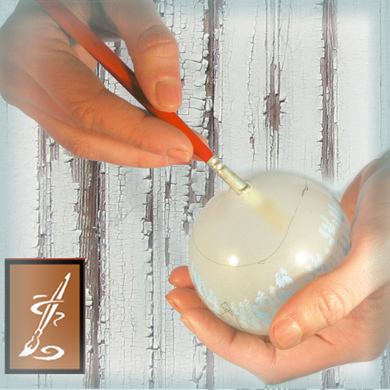 Each hand blown glass ornament comes packaged in an impressive felt-lined gift box. 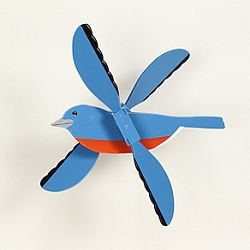 Makes a wonderful gift item for birding enthusiasts! 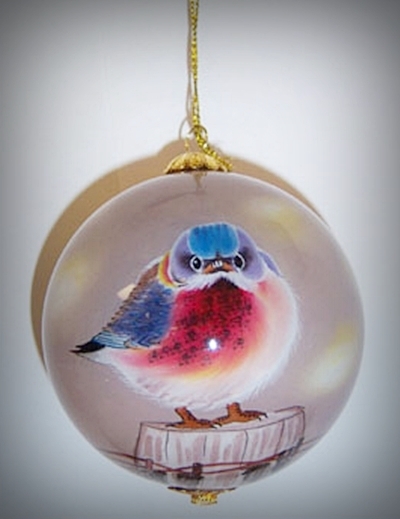 Songbird Series Blown Glass Ornaments are handpainted on the inside by skilled artisans. Each ornament comes packaged in a colorful felt-lined box which makes them perfect for gift giving. Received my order today and am very pleased with the quality of these ornaments. 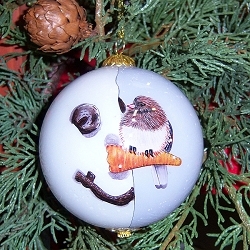 The heavy gift box these ornaments come in are real nice.